Features: Compact (smaller than a paperclip) and easy to integrate design, image capture device with decoder on one board. The small form factor enables easy integration into various solutions. Application: Tablet, PDA, data collector and other small hand held devices etc. 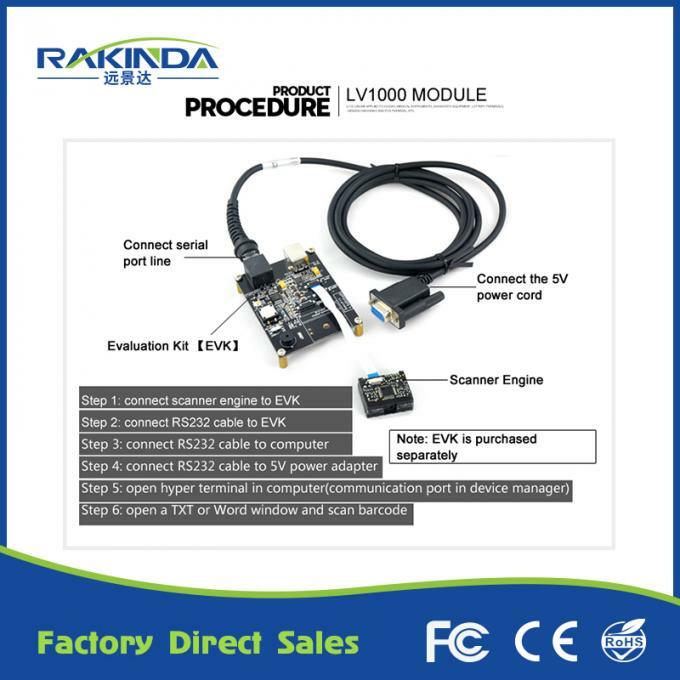 LV1000 is an embedded barcode scanning engine. Its gray scale CCD image capturer and the RAKINDA patented UIMG, a Computerized Image Recognition System, ensure the fast scanning and decoding accuracy on different barcode media such as paper, plastic card, and metal surface. It can be easily integrated into OEM equipments or systems (hand-held, portable, and mounted) to provide solutions for image capture, barcode reading, and barcode message processing. Designed for OEM application, easily adopted into all kinds of equipments where need the 1D barcode scanning application. 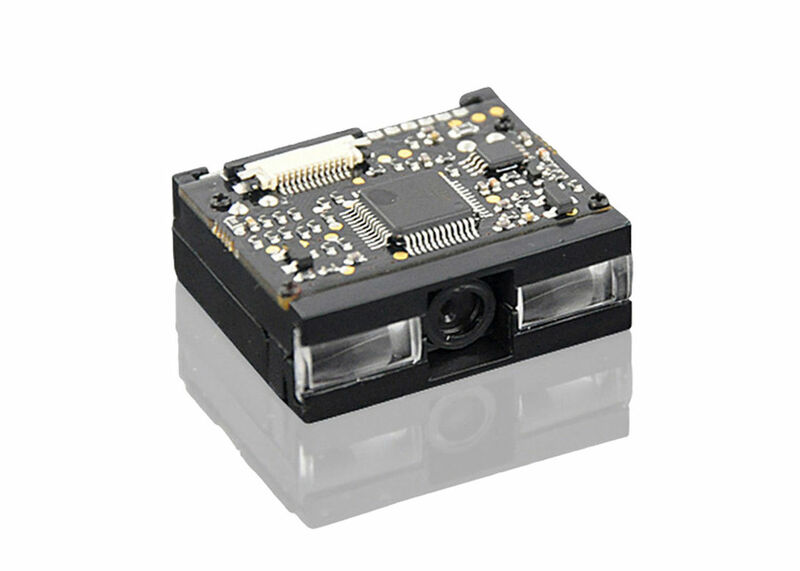 Compact and highly integrated design, image capture device with decoder on the same board. Small form factor features an easy installation and variety of usages. Thanks to the core-technology. Independent designed and manufactured by Rakinda Auto-ID. Technology includes the optical, CMOS, digitizer, decoder, image processing & embedded systems. Supports all global standard 1D barcode symbologies. Reading performance reaches global standard. By using accessories provided, scan all kinds of barcodes defined by customers. The outline of LV1000 barcode scanner module is shown in Figure 1. The topside has the electrical control components, including a flexible cable socket, Interface Socket, through which LV1000 barcode scanner module interfaces with external device. 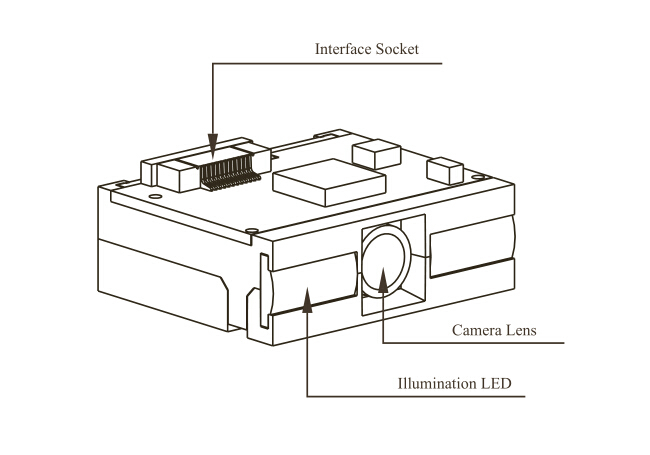 The front side has the optical components, such as Image Lens, through which LV1000 barcode scanner module captures image, Illumination Light, which sends a linear, red light beam for illuminating and aiming.The bracket covers the sides and bottom of the Engine. 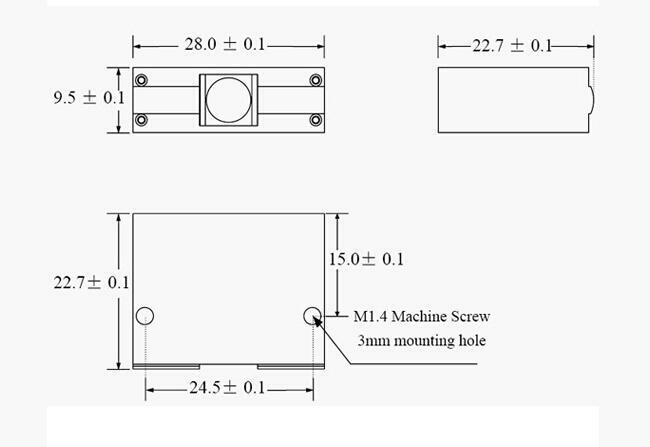 Two mounting holes on the bottom side are available for mounting the Engine to external device. The back side is CCD circuit for image capture.